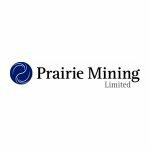 Prairie Mining Ltd. (LSE | ASX: PDZ) is gunning for a place at the mid-cap producer table sooner than analysts were expecting. The company is progressing its coking coal exploration projects in Eastern Europe, and its highly anticipated Bankable Feasibility Study (BFS) is expected later this year, unlocking the door to European-based coking coal sales and over $360 million in earnings annually. That’s the kind of operational outperformance to expect from the most advanced large-scale coking coal project in the Northern Hemisphere. For a company valued at just AU$89 million (£54M), PDZ is in an incredibly enviable position, one that could see it emerge as the next Aussie success story, backed by resurgent commodity markets. While other explorers have set-off in search of new-age commodities such as lithium, cobalt and graphite, PDZ is sticking to what it knows best. The company will soon have completed its BFS regarding the Jan Karski mine in Poland, and follow that up by submitting its Mining Concession as part of a larger plan involving the Chinese and Polish governments and China Coal. China Coal is a billion-dollar global goliath that has plans to boost its European-based production that plans to underwrite the entire mining development at the Jan Karski Project. China Coal plans to produce more than 4 million tonnes of premium hard coking coal (the highest grade of coal possible) per year, which attracts a 10% premium over benchmark prices. Hard coking coal prices are galloping away from rest of the coal market, as energy-focused thermal coal becomes redundant. Blending coking coal with other metals and minerals will remain a staple of big industry, including the ramp-up of electric vehicles (EVs). Of course, commodity prices do fluctuate and caution should be applied to any investment decision here and not be based on spot prices alone. Seek professional financial advice for further information. Could the new-age energy buzz be partly responsible for PDZ’s recent stock market performance? Electric cars are made from steel, you know. Hard coking coal is now the most valuable component of steelmaking, so snagging a few PDZ shares could be a worthwhile venture, especially if current estimates for European hard coking coal consumption (and steelmaking) continue its recent trend. Commodity markets have disappointed investors and analysts in recent years. But industry-focused raw commodities demand is now frothing, as supply imbalances creep up to the surface. Growth-spurt-ready Prairie Mining Ltd. (ASX: PDZ | LSE: PDZ | GPW: PDZ) is in a strong early position to advance its European coking coal projects. The company could well prove to be another well-placed miner, packing some very attractive advantages. It has two coking coal projects that will ultimately deliver around seven million tonnes of coking coal per year. Entering the little house, on the prairie of significant commercialisation. PDZ is gearing up to become a long-term, high-grade coking coal producer in the heart of Europe, a region that hauls in around 40% of the world’s entire supply. In fact, Europe imports over 85% of its coal and this coal is coming from thousands of miles away, from places such as China and Australia. So, as you may expect, the cost and time delays can be extensive. PDZ hopes to deliver a solution to Europe’s coal demands, backed by rising commodity prices. Coking coal prices are heating up, boosted by another bout of fiscal stimulus in China along with a swathe of supply disruptions worldwide that have spurred shortage concerns. Despite thermal coal lagging behind new energy alternatives, the spot price for premium coking coal more than doubled in 2016. Despite a brief respite, it is galvanising for a renewed demand cycle spurred on by new-age products such as electric cars, quaternary industries and infrastructure construction. China, the US, Russia, India, UAE, and Brazil have announced gargantuan infrastructure programmes that will require massive coal supplies. The Chinese, as audacious as their macroeconomic plans are, have even begun work on an inter-continental Silk Road that will connect 65 countries spanning across Asia, Europe, Africa and Oceania. Adding the EU to the list of industrial expansion already taking place, it would seem coking coal could be a great commodity to which investors hitch their ride. Yet coal is not all made the same: one type wields 99%+ carbon with low impurities and commands exorbitant sales prices to boot. Let’s look at PDZ’s chances of striking it rich in coking coal. 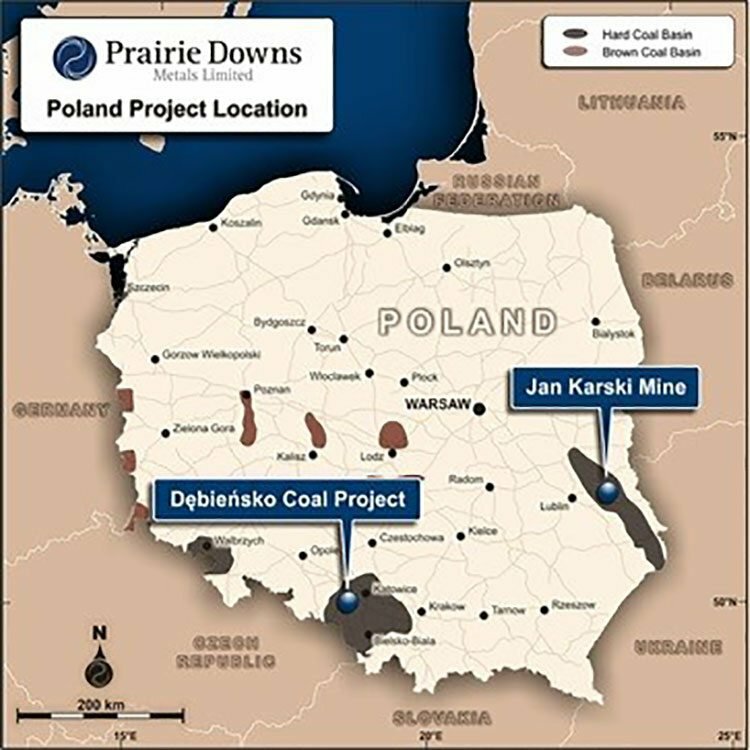 PDZ is a multi-project coal developer focused on developing two prime projects in Poland, the Jan Karski Mine and the Debiensko Hard Coking Coal Project. 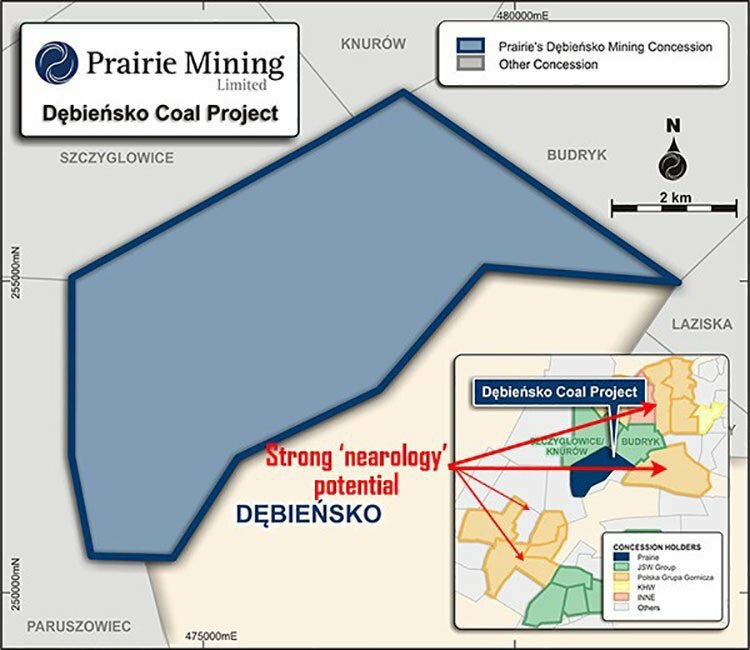 Each project provides PDZ with a unique angle into the coal sector, with PDZ expecting to produce coking coal as its prime resource from its assets in Poland. The project with most near-term commercial potential is Jan Karski, with a BFS expected in the coming weeks and a formal Mining Concession to be submitted shortly. Over time, PDZ hopes to supplement what it delivers via Jan Karski by developing the nearby Debiensko, a potentially huge project in its own right. Here is the same map, overlaid with possible offload points in Hungary, Austria and Slovakia (all heavy coal importers), including steel mills and end-user markets. As you can see, PDZ is casting its commercial fishing rod in exactly the right place. 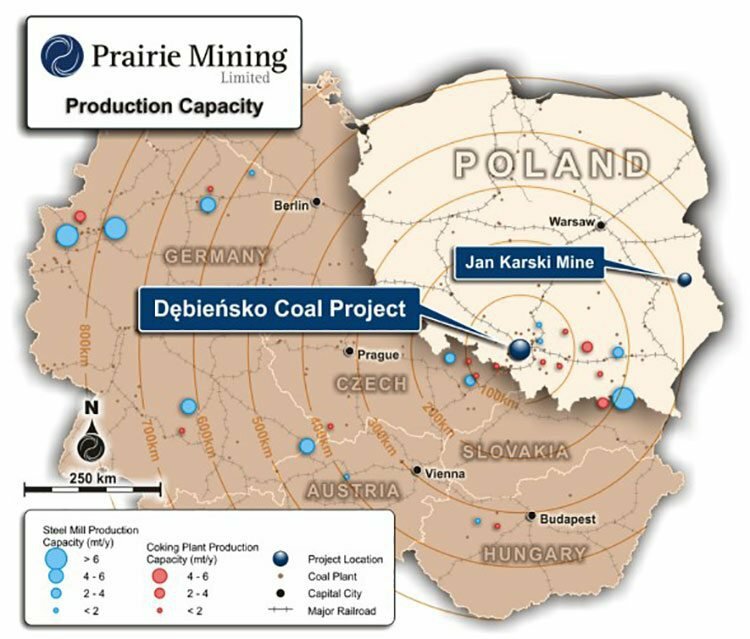 Two existing mines are in production near Debiensko, operated by Europe’s largest coal producer, the tongue-twisting Jastrzębska Spółka Węglowa...or just JSW. The Jan Karski Mine is a large scale premium quality coal project with a current JORC Resource Estimate of 728Mt spread across four coal exploration concessions. 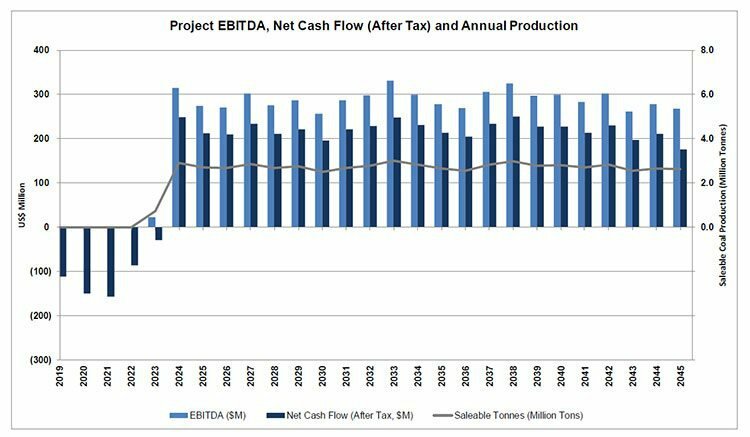 With a production cost estimate of $47 per tonne, combined with sale prices of around $140 per tonne, and underpinned by US$282 million (A$360 million) in EBITDA... PDZ has genuine re-rate potential. At the same time, it’s worth noting that this is a speculative stock and investors should seek professional financial advice if considering this company for their portfolio. 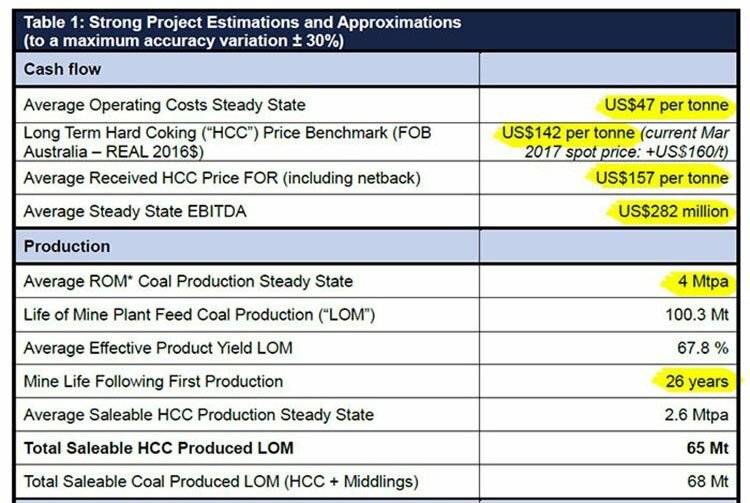 Taking a gander at how PDZ’s Jan Karski project stacks up to other comparative mines, it’s clear that this ASX-listed developer has some serious potential. Since the publication of its PFS and Scoping Study, PDZ has moved onto obtaining more certainty in its operations at Jan Karski. This brings us to PDZ’s cornerstone deal with China’s largest coal mine developer, China Coal. PDZ is closing in on its all-important BFS, to be published later this month. Delivering a BFS will unlock a tidal wave of capital expenditure from China Coal and other institutional backers from China, to build out the Jan Karski mine to maximal production efficiency. Polish and Australian decision makers gathered just recently at the Jan Karski Mine Development Conference, held in Lublin, Poland in May 2017. 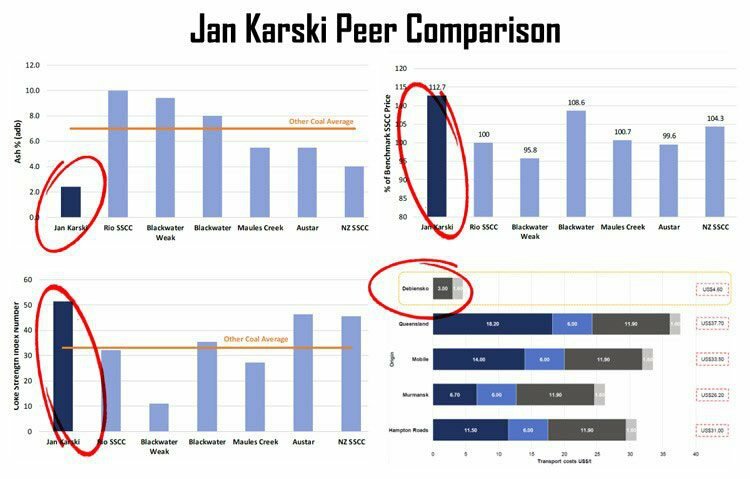 To see why these heavy-hitting high-calibre bigwigs are excited about the Jan Karski Project, take a look at the following peer comparison, contrasting the coal from the Jan Karski mine with other variants from around the world. PDZ is firmly in the driver’s seat for not only a four million tonne annual operation, but also one of the highest grade/low impurity coking coal products in the world. No wonder EU-based companies (and the Polish government) wants a chunk of it. China Coal is a HK$88 billion (A$14.08BN) goliath that builds more coal mines than the rest of the world’s coal developers put together. China Coal has built more than 300 major shafts around the world, including shaft sinking at Vedanta’s Sindesar Khurd Lead-Zinc Mine in India . PDZ has signed a provisional agreement with China Coal that will see the two companies complete a BFS at the Jan Karski Project by the end of 2017, in order to entice a consortium of Chinese banks to fund the project further into infrastructure construction and eventually, offtake sales agreements. Considering the grades and resource quantities seen from exploration to date, the Jan Karski Project represents a unique opportunity for PDZ. Plus, it can leverage China Coal’s immense market presence, technical nous and ultimately, a pathway to secure access to Chinese offtake deals as part of its ground-breaking Silk Road Project. 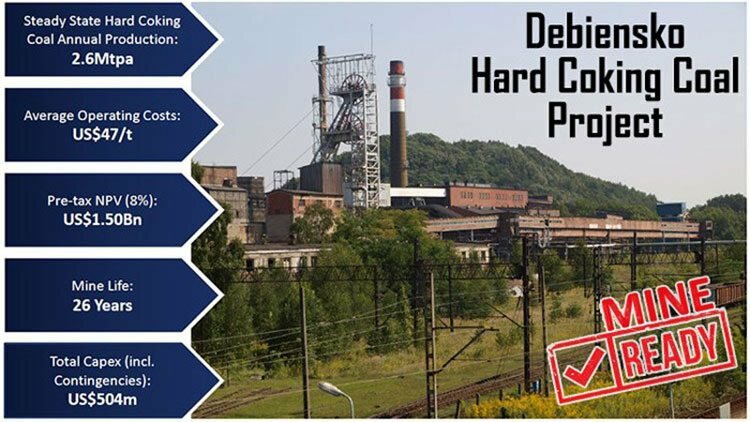 In addition to Jan Karski PDZ is focused on Debiensko, a high-quality coking coal project with a 50-year mining concession already granted. PDZ has already vaulted all the required environmental permitting hurdles for the project. That’s quite a feat at this early stage, and means bureaucratic red-tape delays can be avoided. Debiensko is a brownfield site which reduces the Project’s environmental compliance burden over time and means it is ‘mine ready’ today. PDZ plans to re-start mining at Debiensko based on an initial Coal Exploration Target of 210-260Mt of coking coal. The potential quantity and grade of the exploration targets are still conceptual in nature and there has so far been insufficient exploration to define a Mineral Resource. Debiensko is undergoing extensive work and analysis given that it is a relatively recent acquisition. PDZ’s plan is to move Debiensko through the explorational stage, and into early production. PDZ has taken significant steps forward as an emerging tier one coking coal producer, in the heartland of Europe. A favourable Scoping Study has been jumped on and exploited faster than a whip-round at your local pub, placing PDZ on the cusp of beginning its foundation mine design and further expansionary works. All of PDZ’s hard-work and patient development, now means European steelmakers have a bulky supply-side boost, coming down the pipeline. In PDZ, we’ve potentially found the perfect vehicle with which to obtain exposure to coking coal. With a market cap of $88 million, the company is at an advanced stage of exploration, with a genuine possibility of becoming Europe’s lowest-cost coking coal producer. It is developing the Northern Hemisphere’s most advanced coking coal project, a feat only mature miners would typically attempt. After a sustained decline over more than four years, coal prices rebounded strongly in 2016. Spot steam coal prices doubled, from $45/tonne in January 2016 up to over $90/t by November 2016. 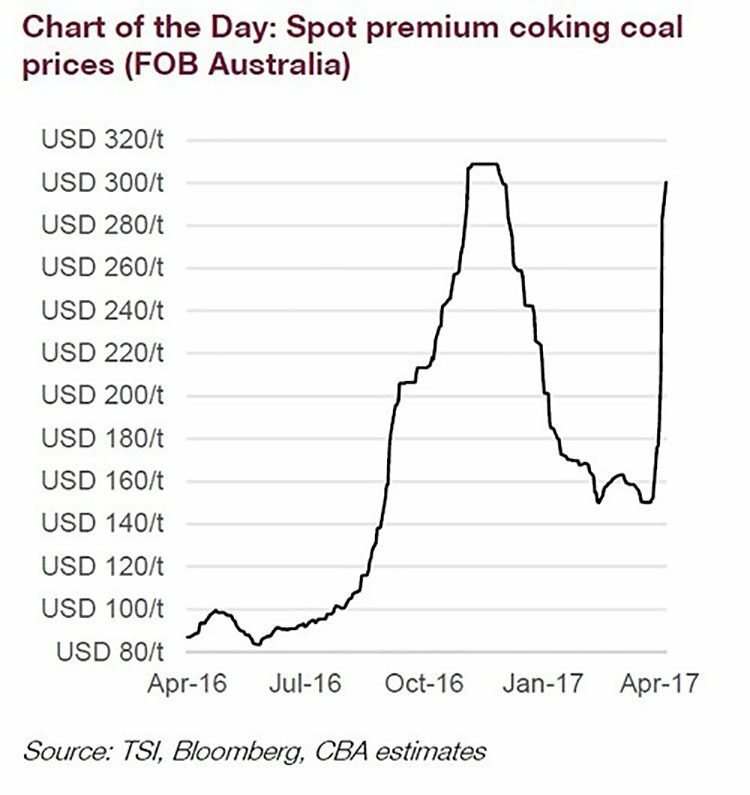 The increase was even sharper for coking coal, quadrupling from $77/t in January 2016 up to over $300/t in November 2016. The main driver of the coal price rise has been China’s policy changes, including cutting the country’s coal output, which sent prices higher. 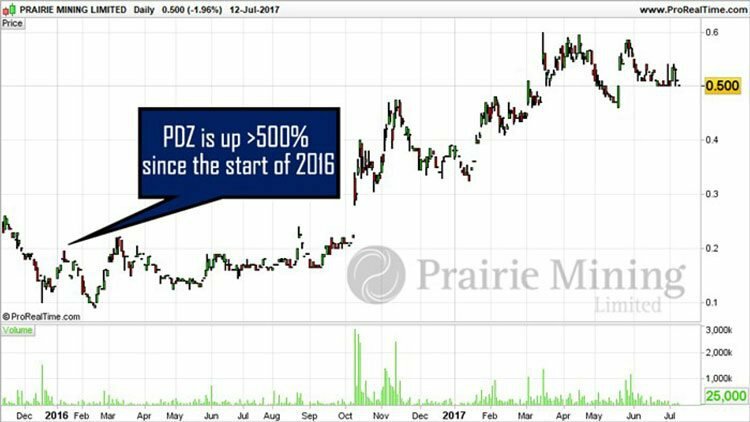 Packing some very attractive benefits and with everything it needs now in hand, PDZ is set to punch above its $89 million market cap. PDZ has sandwiched itself in the middle of converging macroeconomic, geo-political, and energy-security themes, suggesting that this little house on the prairie has the foundations to rival any mature miner or existing coal producer out there. 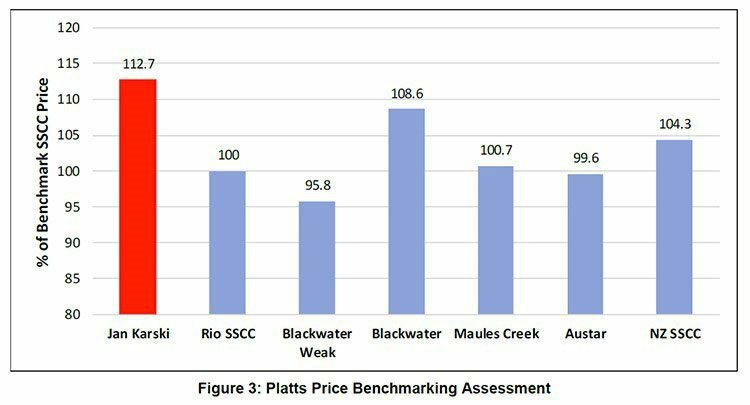 But with coking coal making a swift comeback, PDZ could be on course to dazzle market analysts over the coming years as it is commercialised to its full extent. Is Top Coking Coal Contender PDZ Gunning for a Take Over? Could this Emerging Stock Deliver a Major European Coking Coal Hub?